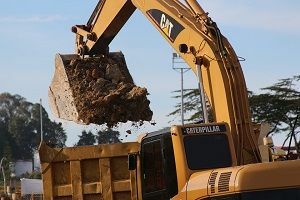 Hire Excavators For Your Projects In Nairobi, Kenya. Enter Details And Get The Best. For how long do you need it? Are you looking for any other specifications? If you are looking for the smartest excavator machines for your projects in Kenya, then you are at the right place. Famio Logistics Services offer excavator rental services in Nairobi, Kenya at the most competitive rates. Also, we have a wide range of bucket size suitable for any projects across the country. Digging, demolition work, Large-scale trenching, bulk earthworks, and on road construction are what we do best. Because all our excavators for hire come with highly trained operators. Hire excavators today and let us do the rest. We provide the finest excavator for hire in Nairobi, Kenya. First, specify your request by filling the form and then we’ll get back to you shortly with customized solutions at the best rate possible for your projects. Alternatively, we can contact us directly and we’ll be happy to assist you.